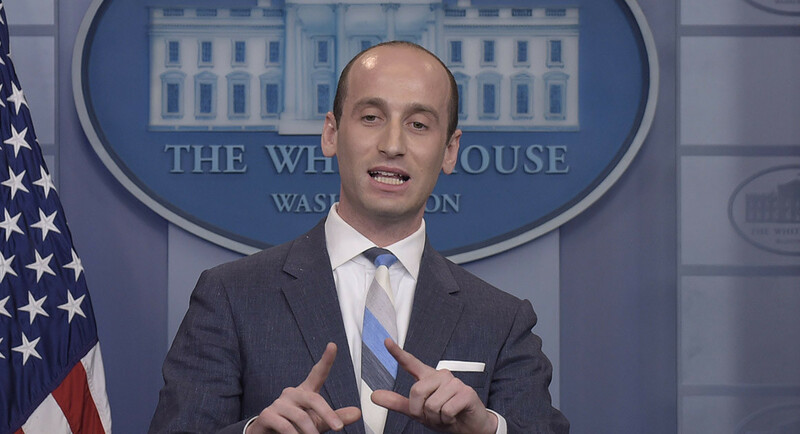 A Republican lawmaker is calling on President Donald Trump to fire White House senior adviser Stephen Miller, who played a significant role in the administration’s contentious “zero tolerance” immigration policy, in which families have been separated at the southern border. After public outrage and intense bipartisan pressure, Trump signed an executive order Wednesday aimed at halting the separation, but the order did not cover what would happen to more than 2,000 children who are currently being detained in facilities away from their families. Coffman, a vulnerable House Republican whose seat has been rated by the Cook Political Report as a “toss-up” as the 2018 midterm elections approach, also announced a trip to the U.S.-Mexico border “to see the situation firsthand and learn more about what needs to get done.” Nearly 20 percent of the population in Coffman’s district is Hispanic, according to the most recent data from the U.S. Census Bureau. “The President should put a General, a respected retired CEO….or some other senior leadership figure on the job of making sure each and every child is returned to their parents,” Coffman tweeted.